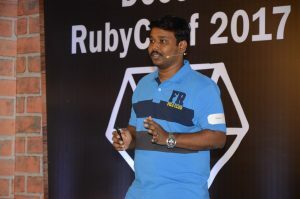 Ruby Software has so far built more than 100 production-grade web applications. We represent the biggest and best fraternity of Ruby on Rails developers. Our reputation as a leader in Ruby is built on a decade-long successful track record of delivering services to customers worldwide. The maturity of our processes makes application scaling quite easy. Ideally, we offer a minimum viable product solution to the customer to develop a base from where scaling up becomes feasible, technically and economically. This has been our experience with solutions provided for small startups, medium companies, and large enterprises. We have trained and mentored graduates into project-ready Ruby developers in three months. Our developers have been presenting technology papers at Ruby conferences across the world. Being in a knowledge industry where rapid updates are happening by the day, we take care to be constant learners. Our project team members consist of certified Scrum Masters and Quality Analysts. PMP Certified Project Managers lead our teams. A team of Technology Certified Developers and Quality Analysts. Decade-long industry experience with customers in multiple geographies. Ruby Software’s Subject Matter Experts in a range of verticals guide our IT solution strategies. Here is a listing of the most significant projects that we have delivered. This was one of the earliest projects, starting in 2007 and piloted a few times before going full-fledged. The project staffed approximately 10 developers on an average every year. New clients and features are being added on a monthly basis. 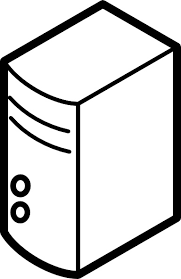 The system interacts with two databases. Claim database containing 5 million records. Ruby Soft develops, maintains and supports this application. The system can ingest coding reports with multi-level sampling. Extensive reporting module with a powerful scheduler. What makes Ruby Software team stand out as the best partner that you can work with? Delivery teams are often as good as the leadership they inherit. Our leadership team combines knowledge, experience, empathy, and self-motivation to steer the projects on course while maintaining high employee morale and productivity. Over the years we have continuously innovated and improved our processes. Adherence to the same has ensured that our projects are delivered on time and to superior quality. Knowledge transfer is smooth and risk management is given utmost importance. This also means that our customers are never in for nasty surprises. Our firm is reputed for its entrepreneurial thinking. We, therefore, get under the skin of the customers easily as we identify ourselves with them. We do not just seek solutions, we seek optimal solutions. In the process, we make new discoveries every day which transform into business benefits for our partners. A high level of employee commitment which has seen an average tenure of five years speaks for itself. 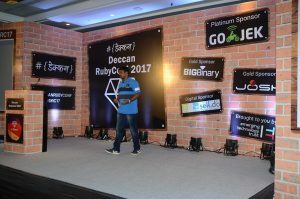 Deccan Ruby Conference is a Single-Track Conference + Workshops event happening at Pune every year. Deccan RubyConf 2017 took place on 12th August 2017 at Sheraton Grand, Pune. The conference covered areas like Ruby Language, Framework, and Tools by well-known speakers from Ruby community.Mr.Shaiju E, Senior Software Engineer of RUBYIANS was a speaker at this edition of the event. His topic was Give REST a rest, use GraphQL for your next Ruby API. He presented about why should we use GraphQL and also about its implementation in Ruby. 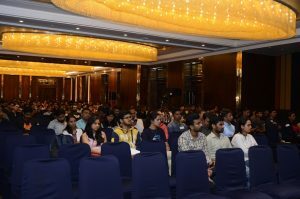 There were panel discussions and 8 Flash talks which include 5 speakers from Kerala, talked about different ruby topics from beginner level to advanced level. 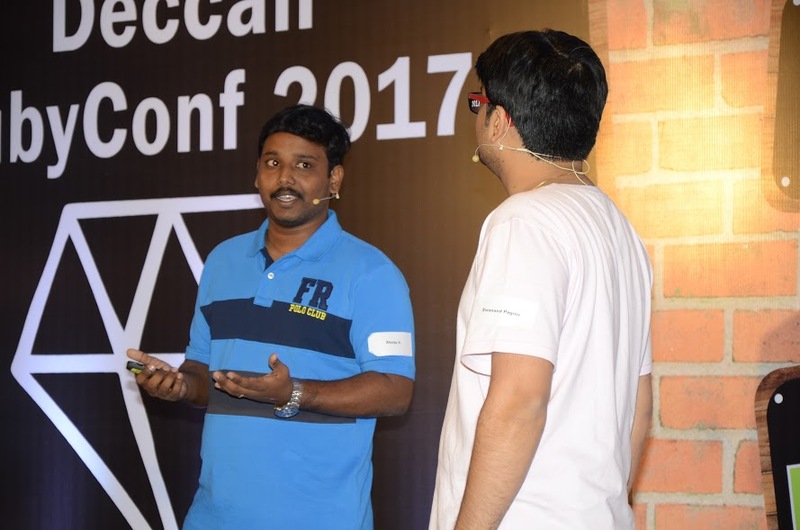 Deccan Ruby Conference is always a great opportunity to meet and interact with different kind of people, with great professional experience. I can’t begin to tell you how fortunate I feel to be working with Ruby Software. My vision for my online corporation is incredibly specific. I won’t apologize for wanting the site to function exactly how I envisioned from the inception of its formation. To say that vision is very software intensive is a major understatement. Since I’m not a computer programmer myself, I had to find the right group of people to work with in order to make that vision a reality. The team at Ruby Software is without a doubt that group. More than an exceptionally talented staff of developers, Ruby Software Resources has been an integral component in the launch of my business. 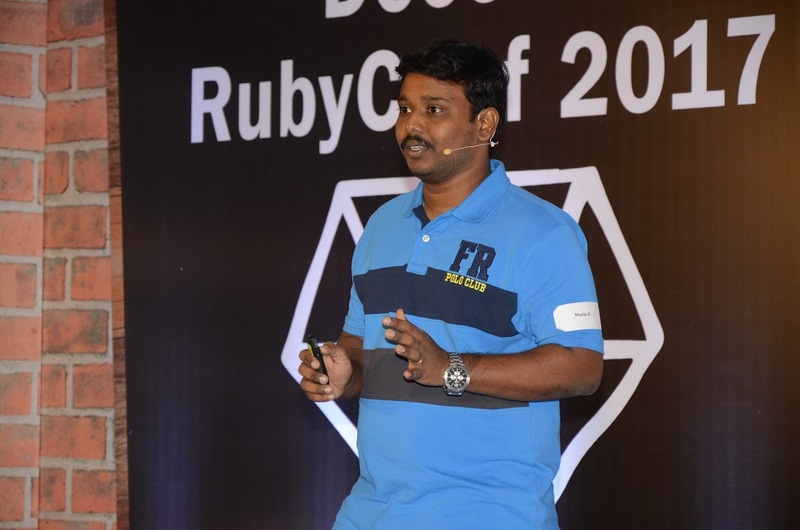 Ruby’s team helped me refine my applicatio’s specifications, offering an experienced perspective to align development goals with critical business milestones. They are flexible, responsive, and easy to work with, thus proving themselves to be a true partner in my business rather than just a service provider. With the precise understanding of Ruby on Rails development framework and in-depth knowledge of Resque and Sidekiq, Backbone.js, WebSockets, Sphinx, we deliver bespoke, user-friendly and innovative RoR web application development services. We provide reliable and efficient hosting and support services. Ruby Software’s Ruby on Rails support team is always available for the customers whenever they encounter operational glitches. 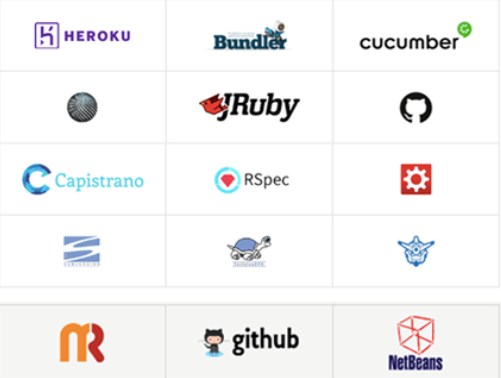 We are hosting partners of Heroku and AWS. Our expert Ruby on Rails development team helps customers to migrate or deploy their Ruby on Rails applications to the latest version of this platform. We analyze the state of your application, giving a detailed report of possible improvements, and solutions for your common pain points in maintenance. We have helped many projects from this complex entangled state, by straightening out the code base, doing a thorough application analysis using tools like NewRelic, leading to significant performance improvements. This has often led to a drastic reduction in the server and infrastructure costs too. It is not always enough to ship out the code and switch ‘on your servers to full throttle; you would also require to hand hold operations, and suggest improvements to existing workflows and features. We help augment your operations, by doing a detailed analysis of your existing processes, adding in extra features for the application, to help its efficient functioning. We will monitor various aspects of your project, and suggest regular load and performance tests, to make sure that the heartbeat of your app is healthy and all its vital statistics are normal. Ruby Software enters into an engagement in one of the following models. In a Fixed Price or Lump Sum contract, Ruby Software and the customer agree on a fixed price for the project while embarking on it.. The payment does not depend on resources used or time expended. Given that risk management is of utmost priority in this type of contract to take care of budgetary overruns, more detailed specifications, checklists and scope documents are required from the customer side to ensure a smooth execution and delivery of the project. Ruby Software receives a concession from the customer to finance, design, develop, own, and operate a software stated in the contract. This enables the project proponent to recover its investment, operating and maintenance expenses in the project. Customer partners with Ruby in idea generation and realization. Customer comes up with ideas and Ruby Software provides the technological support to convert them into reality.